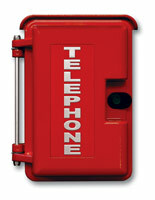 The Securitex-Viking-RED PHONE is made in USA by Viking. This phone is design for use in emergency situation where the user need to call for help or usually they need to receive emergency incoming call from 3rd party facilities. 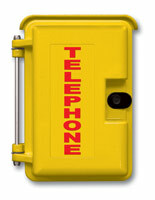 Usually this phone are install in fire command centre or oil and gas industries control room where the operation staff when in emergency need to contact another party for assistant, the caller just need to lift up the handset and the RED PHONE will dial the pre-programmed phone of the other party (Receiver). 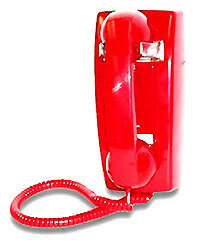 This RED phone can be supply without the incoming ringer so this phone will only be use as outgoing call. However if incoming signal is needed, a ringer can be installed. These RED PHONE or HOTLINE PHONE or EMERGENCY PHONE are design for indoor application and is powered from the PSTN line, if the phone is needed to be install outdoor, then an external IP65 enclosure can be incorporated. Securitex Electronic Systems Engineering is able to do customization of the hotline phone in situation where there are many Hotline phone in a control room and the user or operator need to know which Hotline phone is ringing. Data logging of the phone use. We can even designed the system in the control room to know which Hotline phone is ringing and exactly what time and when the Hotline phone is pick up and when the Hotline phone is hang up. Securitex Hotline phone can also be integrated with 3rd party line conversation recording service. Who need customization Hotline phone. Customization hotline phone are usually needed when there are more then 1 hotline phone in a single location. This premises are Command center. Oil and Gas Control room. Power and Nuclear Power plants. Desalination Plant. Data Centers. Hospital and even military installation. Feel free to contact us if you need customization service. The K-1900 Series phones are available in a desk or wall chassis, as well as in a vandal resistant panel phone configuration. 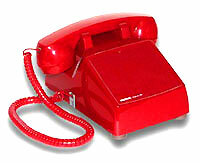 A network insert dialer is also available, to convert standard phones into hot-line phones. Oil & gas terminal control room to control room emergency call.